What does taking good care of clients mean to Lucy Lu & Associates? It means helping you achieve your success. It means understanding your specific needs, your background, your business and your industry. It means applying our extensive experience, knowledge, and skills in a broad range of practice areas and industries to help you succeed. It means that we would be there for you whenever you need us. Lucy Lu & Associates is a boutique law firm with offices in Atlanta, Silicon Valley, New York City, Chattanooga and Beijing, China. 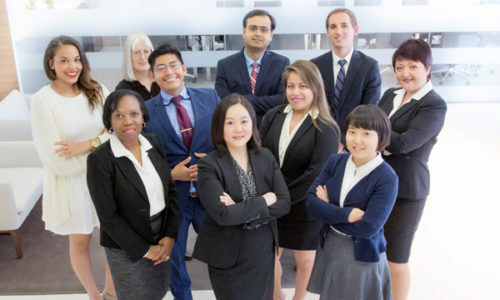 Our attorneys are admitted to practice in Georgia, Tennessee, New York, California, China, and Illinois. We are an experienced team with insight and ability to help clients succeed in today’s challenging global business environment. Our clients include public and private companies, government entities, institutions, non-profit organizations, and individuals. Core values that are of utmost importance to the firm include collegiality, teamwork, firm loyalty, diversity, individual satisfaction, fairness and professional development. Lucy Lu & Associates is the dynamic, prominent firm it is today as the result of the leadership of individual, outstanding lawyers, and thoughtful expansion that strengthened our practice areas, culture, and philosophies. The firm’s history dates back to 2009 through the long roots of our immigration practice. Today, the firm has expanded its practices to many other areas. Counseling clients from what was initially a local context to regional, then national, and now a global economic environment, Lucy Lu & Associates has overlaid its broad range of legal skills and business knowledge and connections with a commitment to innovation and technology. The firm is truly proud of its heritage and continues to write history every day. From day one, Lucy Lu & Associates is determined to be built as a boutique law firm with personal attention and excellent service to our clients. Great law firms are made up of great lawyers and friendly and efficient support staff, working hard each day to provide an integrated solution to our clients’ problems. We make sure that our clients are able to easily access to anyone in the firm. We consider ourselves as artists in drafting legal documents. We are willing to listen to our clients. I am proud that the firm is dedicated to excellence, hard work, and teamwork in all that we do.